Mahler Remix was recorded live at RadioKulturhaus, Vienna, in May 2011. This recording is mostly based on samples taken from Gustav Mahler's symphonies. The performance also includes an early version of "Liminality' from the bécs album, released in 2014 on Editions Mego (EMEGO 165CD/LP). Mahler Remixed was a commissioned work performed together with the visual artist Lillevan. The piece was only performed live three times, at RadioKulturhaus in Vienna, Carnegie Hall in New York City, and Borusan Music House in Istanbul. Gatefold LP version. The last time Fennesz released an album on Austrian label Mego it was 2001 and the name of that release was Endless Summer. Now, in 2014, Editions Mego is extremely proud to release the conceptual follow-up to that landmark of abstract pop. Bécs (pronounced "baeetch") is Hungarian for "Vienna" and is the first full-length Fennesz solo release since 2008's Black Sea (TO 076CD/LP). Eschewing the more drone-oriented works of Black Sea, Bécs returns to the more florid pop mechanisms as deployed on Endless Summer. "Static Kings" features the extra leverage of Werner Dafeldecker and Martin Brandlmayer, who deploy a range of atmospheric abstract effects to shape a bewitching sound-world. The 10-minute centerpiece "Liminality" (featuring Tony Buck on drums) is classic Fennesz: epic, evocative, beautiful, impossible. "Pallas Athene" creates a sanctuary of hovering beauty which leads into the title-track. Emotional and assured, the track "Bécs" is an astonishing contribution to contemporary pop. "Sav," co-written by Cédric Stevens, (aka Acid Kirk) inhabits a less structural terrain as one enters a forest of small sounds and oblique atmospheres, where on the closing "Paroles," a gentle melody unravels amongst swirls of electronics and fried disruption. Bécs is not just an album or a series of songs, it's a world to inhabit, a landscape ripe with sounds, songs and that esteemed Fennesz signature. A singular work by a singular artist. All tracks by Christian Fennesz, except *by Cédric Stevens & Christian Fennesz. Modular Synthesizer on "Sav" by Cédric Stevens. Bass on "Static Kings" by Werner Dafeldecker. Drums on "Static Kings" by Martin Brandlmayr. Drums on "Liminality" by Tony Buck. Recorded & mixed at Amann Studios, Vienna, 2013/2014. Tony Buck's drums recorded by Martin Siewert at Garnison7, Vienna, July 2013. Mastered and cut by Rashad Becker at Dubplates & Mastering, Berlin, February 2014. Cover design by Tina Frank. The last time Fennesz released an album on Austrian label Mego it was 2001 and the name of that release was Endless Summer. Now, in 2014, Editions Mego is extremely proud to release the conceptual follow-up to that landmark of abstract pop. Bécs (pronounced "baeetch") is Hungarian for "Vienna" and is the first full-length Fennesz solo release since 2008's Black Sea (TO 076CD/LP). Eschewing the more drone-oriented works of Black Sea, Bécs returns to the more florid pop mechanisms as deployed on Endless Summer. "Static Kings" features the extra leverage of Werner Dafeldecker and Martin Brandlmayer, who deploy a range of atmospheric abstract effects to shape a bewitching sound-world. The 10-minute centerpiece "Liminality" (featuring Tony Buck on drums) is classic Fennesz: epic, evocative, beautiful, impossible. "Pallas Athene" creates a sanctuary of hovering beauty which leads into the title-track. Emotional and assured, the track "Bécs" is an astonishing contribution to contemporary pop. "Sav," co-written by Cédric Stevens, (aka Acid Kirk) inhabits a less structural terrain as one enters a forest of small sounds and oblique atmospheres, where on the closing "Paroles," a gentle melody unravels amongst swirls of electronics and fried disruption. Bécs is not just an album or a series of songs, it's a world to inhabit, a landscape ripe with sounds, songs and that esteemed Fennesz signature. A singular work by a singular artist. 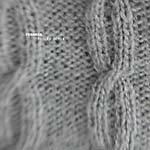 All tracks by Christian Fennesz, except *by Cédric Stevens & Christian Fennesz. Modular Synthesizer on "Sav" by Cédric Stevens. Bass on "Static Kings" by Werner Dafeldecker. Drums on "Static Kings" by Martin Brandlmayr. Drums on "Liminality" by Tony Buck. Recorded & mixed at Amann Studios, Vienna, 2013/2014. Tony Buck's drums recorded by Martin Siewert at Garnison7, Vienna, July 2013. Mastered and cut by Rashad Becker at Dubplates & Mastering, Berlin, February 2014. Cover design by Tina Frank. This special 12" features new versions of the track "Fa," taken from Fennesz's 1997 debut solo album Hotel Paral.lel (EMEGO 016CD). 15 years after its initial release, Christian Fennesz gives this throbbing monster of a track a new seeing to, extending it and adding more of that magic he is so wel known for. The album was always an exercise in exploring alternate means of hearing club-based music. This new version carries that concept further. This is backed by a cracking new mix by the ever productive Mark Fell, adding his unique beat structures, and even a MLK sample, which lends his contemporary rhythmic landscape an oddly nostalgic twist. 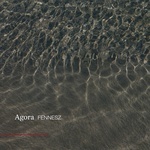 This 12" can be seen as a warm up for the new Fennesz album, currently scheduled for 2013 release. 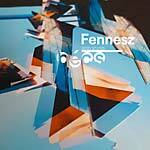 Fennesz's first solo release since Black Sea (TO 076CD/LP). Using acoustic and electric guitars, bass, synths and computers, Fennesz continues to engage and entrance us in equal measure. 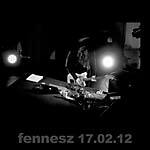 Fennesz writes: "Seven Stars was recorded in Vienna in January 2011. I recorded and mixed the album within 3 weeks. 'Liminal' and 'July' were existing pieces which I have reworked. (I wrote an early version of 'Liminal' in a hotel room in Bali in 2010). There is also a version of 'Liminal' that I have been playing live for some time. My friend Steven Hess, with whom I have worked before, happened to be in Vienna at the time of the sessions, so I invited him to join me in the studio. Christoph Amann recorded the drums using a selection of his great microphones, including his amazing new Josephson. I wanted to make a record that has a certain lightness about it and at the same time explore new territory using drums on one track. This might be something I will continue with in the future." 2018 repress. Remastered, expanded gatefold double LP version (briefly available as a single LP in 2001 and o/p for 10 years now). This version features new artwork by Tina Frank, based on the original 2001 Mego release. Contains "Ohne Sonne" and "47 Blues," previously only available on the Japanese CD versions, as well as a new, extended version of "Happy Audio," exclusive to this release. 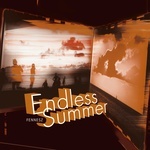 Endless Summer, originally released in 2001 by Mego, was a breakthrough album for Christian Fennesz -- the album which brought his name and music towards the first steps of mainstream recognition. Following on from the more experimental Hotel Paral.lel (EMEGO 016CD) and the Beach Boys-homaged Plays single, Endless Summer brought the guitars more to the front, the electronics shimmered more, and the melodies shined more brightly. It went on to become a classic of its time, topping many end-of-year polls. Cut at Dubplates & Mastering, Berlin, September 2010. This version features new artwork by Tina Frank based on the original 2001 Mego release. Endless Summer, originally released in 2001 by Mego, was a breakthrough album for Christian Fennesz -- the album which brought his name and music towards the first steps of mainstream recognition. Following on from the more experimental Hotel Paral.lel (EMEGO 016CD) and the Beach Boys-homaged Plays single, Endless Summer brought the guitars more to the front, the electronics shimmered more, and the melodies shined more brightly. It went on to become a classic of its time, topping many end-of-year polls. This CD has the same audio content as EMEGO 035CD -- it is the 2007 released newly-mixed version by Fennesz, which resulted in a more open-sounding version of the tracks, especially the marimba-driven "Caecilia," the hypnotic "Before I Leave," and the towering "Happy Audio." It also contains the 2 extra titles from the updated 2007 version: "Badminton Girl," originally released in 2001 as part of the Split Series #15 12" with Main on Fat Cat Records, now out-of-print, and "Endless," which had been previously-unreleased. 2012 repress., originally released 2008. Black Sea is the much-anticipated new album from Christian Fennesz, his first since Venice (2004), about which Stylus Magazine's Nick Southall wrote: "Fennesz does with sound what Stan Brakhage did with film, altering its very fabric and texture, employing disorder and error as forms of communication and expression. He forces you to learn a different method of perception and interpretation, to look beneath the chaos that seems to govern the movements of life and find the patterns beneath." 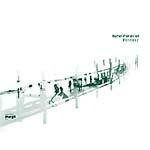 Fennesz's career has come a long way since Instrument, his debut for Mego in 1995, and his first solo album Hotel Paral.lel which followed in 1998. Endless Summer (Mego, 2001) brought him to a much wider audience and Venice underlined his mastery of melody and dissonance. His songs usually embody the skillful application and manipulation of dense sonic textures with a genuine feel for the live, and real-time. Black Sea features guitars that rarely sound like guitars; the instrument is transformed into an orchestra. 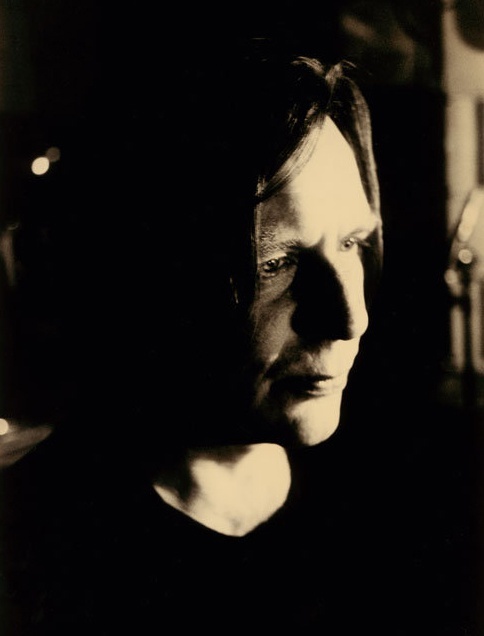 Fennesz lists the elements used to make the compositions: "Acoustic and electric guitars, synthesizers, electronics, computers and live-improvising software lloopp." On "Glide," Fennesz duets with New Zealand's Rosy Parlane, whose work is also released on Touch. Fennesz also teams up with eMego artist Anthony Pateras whose prepared piano features on "The Colour of Three." Fennesz pushes his work into a more classical domain, preferring the slow reveal to Venice's and Endless Summer's more song- based structures. Jon Wozencroft's artwork makes visible this carefully hidden world resting beneath the surface of "the first impression." A series of shots, taken in quick succession as the tide recedes, reveals a world of specific activity only visible at a particular time and place, histories appearing and disappearing. ...37" Minus Sixteen Degrees 51'08". Originally released by Touch in 1999, this is Christian Fennesz's second full-length solo album after the highly-acclaimed Hotel Paral.lel (Mego, 1997). Fittingly, "+47° 56' 37" -16° 51' 08" takes its title from the coordinates of Fennesz's backyard garden, the site of the open-air studio where these tracks were created. Initial copies came in an oversized gatefold card sleeve, with booklet insert; the second edition was in standard jewel case format. This third edition is in digipak format with unaltered audio. 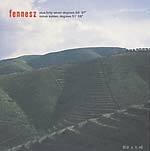 The album has been out-of-print for two years and was Fennesz's first solo album for Touch, preceding his breakthrough Endless Summer (Mego, 2001). Anticipating his next album, The Black Sea (Touch, 2008), on +40º..., Fennesz uses guitar and computer to create shimmering, swirling electronic sound of enormous range and complex musicality. His lush and luminous compositions are anything but sterile computer experiments. They resemble sensitive, telescopic recordings of rainforest insect life or natural atmospheric occurrences, an inherent naturalism permeating each piece. Hotel Paral.lel, originally released in September 1997 by Mego, was Christian Fennesz's debut solo album. This 2007 remastered reissue includes a bonus track from a 1996 7", and a video. Following up from the EP Instrument, it was an investigation into the sonic possibilities residing in guitar-based digital music, recorded just before mobile computing devices became the norm. A far more darker and experimental work than what was to follow. Freeform noise, sliced techno beats and subtle ambient textures create a timeless work, which is an essential addition to any collection of pioneering music of the late 20th century. On the closing "Aus," we see a glimpse of what was to come, a springboard into the future. In addition to the original 14 tracks, two extra titles are included: "5," originally released in 1996 as a 7" single on Syntactic, which was released only in an edition of 100, and the acclaimed video made by Tina Frank/Skot for the track "Aus." 2014 repress. "Venice was recorded on location in the summer of 2003 and subsequently assembled and mixed at Amann Studios, Vienna in January/February 2004. 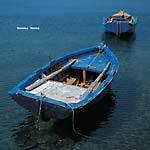 Venice, the fourth studio album by Christian Fennesz, finds electronic music at a crossroads between its early status as digital subculture, and the feeling that there has to be something more, an emotional quality that rises above noise and moves towards melody and rapture. Includes the continuation of his collaboration with David Sylvian on the track 'Transit', following the success of their duo on Sylvian's 2003 solo album, Blemish. Fennesz burst upon the scene with Instrument [Mego, 1995] and followed that up with a succession of ground-breaking and highly original solo albums. As The Wire wrote, 'he offers all the puzzles and adventures of experimental music, but with a more assimilable grasp of melody -- and a prominent role for the guitar', and to be sure, 'though the process may sound simple, it takes some skillful manipulation to simultaneously tug those heartstrings and poke them with tiny pins.' [Nick Phillips, City Pages, USA]. 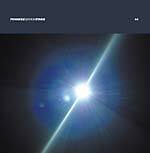 Fennesz has been active in film soundtrack work -- for Gustav Deutsch and his forensic view of cinema, film ist'... Live performances, improvised music within a modus operandi that adheres itself more to jazz than computer software... everywhere from Tokyo to Bratislava. Fennesz has also taken part in many collaborations: Fenn O'Berg, with Jim O'Rourke and Peter Rehberg [Mego], a duo with Rosy Parlane [Synaesthesia], and with Polwechsel [Erstwhile]. He has also been recording with Sparklehorse, the first fruits of this collaboration appearing on the recently released Spire [Touch # Tone 20]. He lives and works in Paris and Vienna." Repressed jewel-box issue of this 1997 classic -- Fennesz's debut CD! "The music on Hotel Paral.lel resounds with buzzes, humm's, ticks and washes. 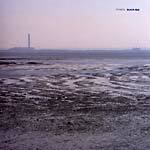 A pre-digital work, which formed itself around a diverse range of rhythmic, ambient and pop tracks. Hotel varies between intensely personal takes on the techno mould along with the unconventional mix of the noisy and the tender. Here one can witness the creation of the template for which all future 'pop' experiments were to develop. An eternally rewarding excursion into a rich distorted utopia. Who would have thought."